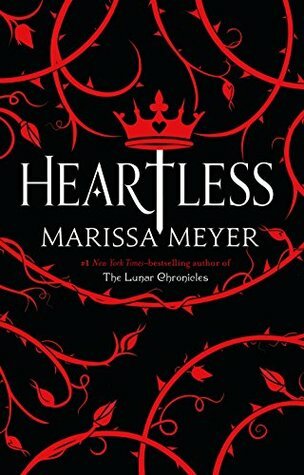 Heartless is a standalone novel that is a fairytale retelling all about the Queen of Hearts. I've seen a ton of retellings of Alice in Wonderland but never one focused on the Queen of Hearts. Since I've enjoyed the other Marissa Meyer books I've read, this was a must-read for me. Catherine Pinkerton aka Cath is an aspiring baker that wants to open a shop with her maid. Her mother has other plans for her though, Cath has caught the King's eye and while she manages to evade his marriage proposal at the ball it's only a matter of time. Escaping from the ball Cath stumbles into the court joker, Jest. 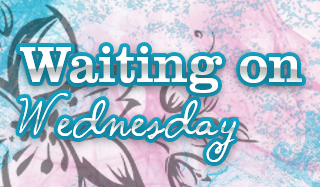 Sparks and intrigue fly but both know the clock is ticking before the King proposes. They still meet secretly and their relationship blooms along with Cath's dreams. After several events occur, everything comes crashing back to reality and it had me wondering how the story would end. It wraps up well but made me a bit sad that this was just a standalone since I enjoyed the world so much. Wonderland was full of little details and quirky characters I came to love and I really hope we get a spin-off or a revisit into the world one day. MMeyer's writing is on point as always, and while the novel is long it doesn't drag. There are some nods towards the original Alice in Wonderland story we all know, but for the most part, the author makes the story unique and her own. I appreciated the take on why the Queen of Hearts turned out the way she did and found myself really enjoying the book. There were a few instances where I wanted to smack Cath for her thoughts/behavior but that happens to me with a lot of books. All in all, if you're a fan of fairytale retellings I think you'd enjoy this novel. Oh good, so glad you enjoyed this one, Melissa. I'm still working my way through her Lunar Chronicles, but I plan to read this one and her latest, too. I love the sound of this one! I would want this to be a series as well. I am definitely going to read this book. Great review and thanks for bringing this to my attention. This one is new to me, but it does sound good. Thanks for sharing. I'm curious that's true, I always love retellings! I love retellings. And the queen of hearts? Now this is interesting. Great review! That is really cool it's on the Queen of Hearts. I love when authors get creative like that and don't go the typical route. This is definitely one of the best Alice retellings I've read! I loved this book so much. I knew the ending was coming, but oh my heart! It was a very fitting ending but obviously very sad. I believe this book is meant to be a standalone so I don't think we'll see any sequels, but hey, I'd be on board with sequels. :D Great review, Melissa! I really really enjoyed this one too. The characters were great and it was just so descriptive. 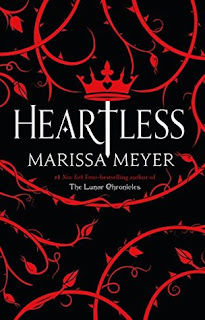 I want more retellings from Marissa Meyer! I'd love more too hehe Have you read her other books?? I hope you enjoy if you try her books!! I had a good time with it as well as the others I've read by her. I've never read any fairytale retellings but I'm curious. Is it usually very similar to the original or completely different? Some authors keep it pretty close, those mostly aren't my favorites! I like when an author takes little bits and intertwines it into their own story. This book was like that, which I loved! Hope you enjoy her books Lily!